According to a report by Spanish outlet MARCA, there is a slim possibility that Neymar could return to Barcelona in a shock move in the summer transfer window. The PSG forward has been offered to his former club by his representatives, with Real Madrid also in the fray to sign him. Neymar has enjoyed a career to remember thus far, having been an indispensable figure for each of the clubs that he has represented. At Barcelona, he even forged one of the most menacing attacking trios of all-time – the MSN – alongside Lionel Messi and Luis Suarez, but left the Catalans amid controversy last summer as he was snapped up by PSG in a world record deal. At Parc des Princes, he is a superstar in his own right, having been highly prolific for large parts of the season before his campaign ended prematurely due to injury. An incredible record of 28 goals and 19 assists in just 30 outings is testament to how important he is to PSG, who should be wary of a potential departure by the player after just one season. Several widespread reports have claimed that Neymar is unsettled at Parc des Princes, and it is believed that he is ready to quit PSG. Unsurprisingly, a number of big-name clubs, including Real Madrid and Manchester United, have been heavily linked with him, with the former touted to be the favourites to complete a shock move for the former Barcelona superstar. But, there’s a twist in the tale now, with Barcelona possibly joining Real Madrid in the race to sign Neymar in the summer after being contacted by his entourage over a possible return to Camp Nou. Barcelona have been rumoured to be in the market for an attacking reinforcement this summer, with Antoine Griezmann the heavy favourite to join the club for a long time. But, in bizarre circumstances, the Frenchman publicly announced his decision to stay at Atletico Madrid, which has now forced the Catalan club to identify possible alternatives. Real Madrid, on the other hand, are set for a major summer overhaul after a disappointing 2017-18 La Liga campaign. 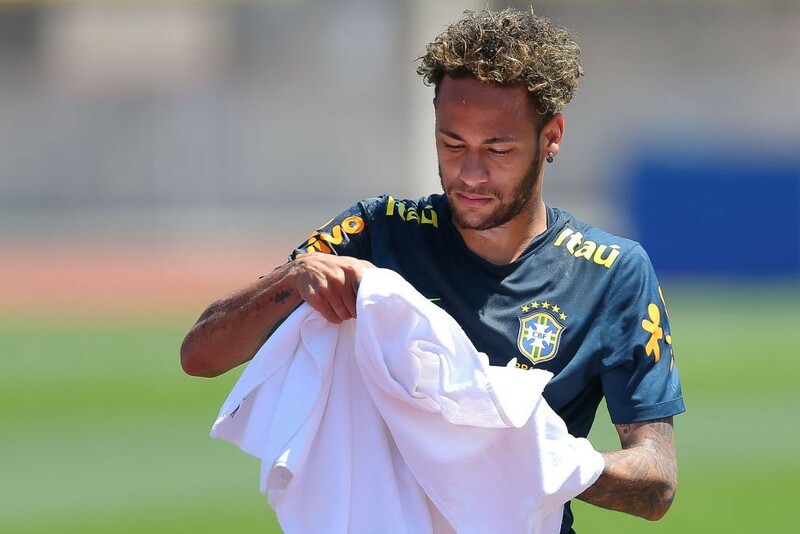 Attack is understandably a priority, especially with the futures of Cristiano Ronaldo and Gareth Bale being uncertain, making Neymar, who is a long-time target, a viable player to pursue. What gives Real Madrid the advantage in pursuit of Neymar is the fact that Barcelona aren’t exactly in the best of positions financially and might find it difficult to compete with their bitter rivals. But, Josep Maria Bartomeu has been informed that the players would be unhappy if the player ends up signing for Los Blancos, which could see him loosen the purse strings slightly. The Neymar saga though, is certainly taking an interesting turn, with the possibility of Barcelona re-signing him. Real Madrid are in the lead for now, as they look to secure his services, but the Blaugrana might just be a factor in the days to come with the player’s entourage in talks with the club.